Arturo and Alma Rivera have lived their whole lives in Mexico. One day, their beautiful fifteen-year-old daughter, Maribel, sustains a terrible injury, one that casts doubt on whether she'll ever be the same. And so, leaving all they have behind, the Riveras come to America with a single dream: that in this country of great opportunity and resources, Maribel can get better. Woven into their stories are the testimonials of men and women who have come to Delaware, by way of other states or countries. Their journeys and their voices will inspire you, surprise you, and break your heart. I loved each and every character and their background stories. 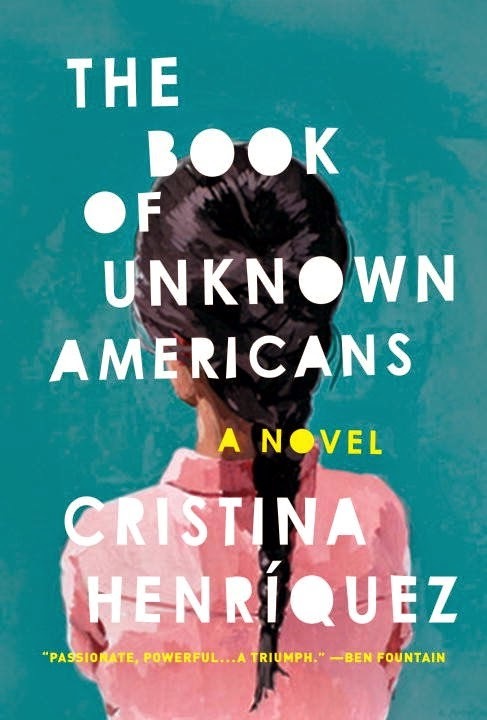 From Nelia, who came from Puerto Rico in hopes of being the next Rita Moreno, to the nosy Quisqueya who sees all and reports all to the other neighbors, the characters are just fascinating. I became so invested in the lives of the characters, especially Mayor. I found myself feeling his pain when he recognizes that, once again, he's a disappointment to his father. He's not the cool, Americanized, soccer playing college student that his brother, Enriquez, is. He's a bit of a nerd and an introvert and is picked on often at school. But he's a good person and that shines through again and again. Alma, Maribel's mother, is another great character. She feels the guilt of what happened to Maribel more than her husband, Arturo. For that reason, she's created her own little prison that she keeps herself and Maribel trapped in. Her quiet strength becomes her most valuable asset. Although this is Maribel and Mayor's story, the story belongs to all of the characters. I love that Henriquez fleshes out every single character. We know why each person has ended up in this apartment complex in Delaware and we're thirsty for more of their story. Though I rarely re-read books, this is definitely one I plan to re-visit again. It's just that good.